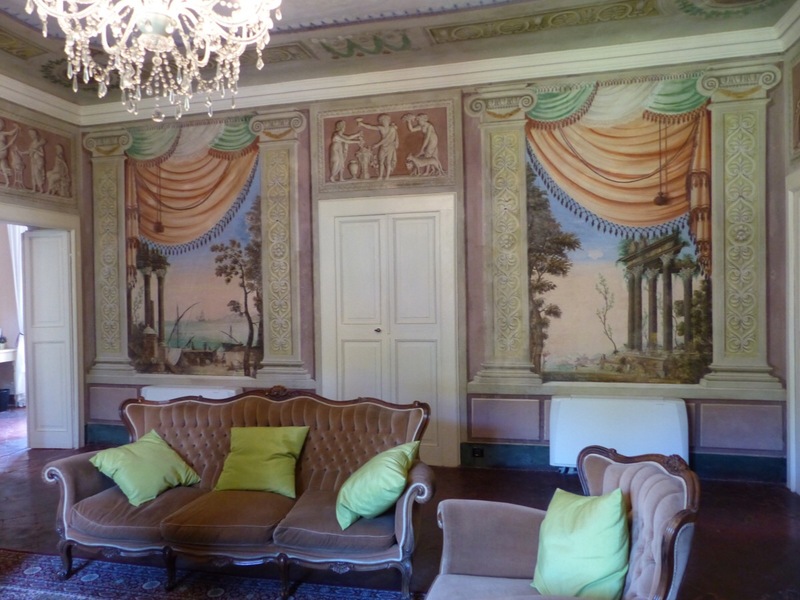 Laura Poggi, from the gorgeous Casa Tolomei in Via Umberto I in La Villa, is starting a small language school. She and her family have many years of experience and Laura is keen to start a new venture in Bagni di Lucca. In a previous post I wrote about the amazing transformation Laura and her husband Andy have achieved in the house where Elizabeth Barrett and Robert Browning spent a couple of summers in the 19th century. They bought it 5 years ago and have brought the beautiful house back to life. See the post here. Work continues, but a couple of rooms are now available to rent and Laura can turn her attention to Italian lessons. This beautiful room will be for small groups. Larger groups will be in another part of the house. It is possible to have one on one lessions with Laura, or to be part of a group lesson, the classes are flexible. Laura is delightful and I know her classes will be a lot of fun, the best way to learn a new language. Whether you are a beginner or more advanced, a course can be tailored for you. 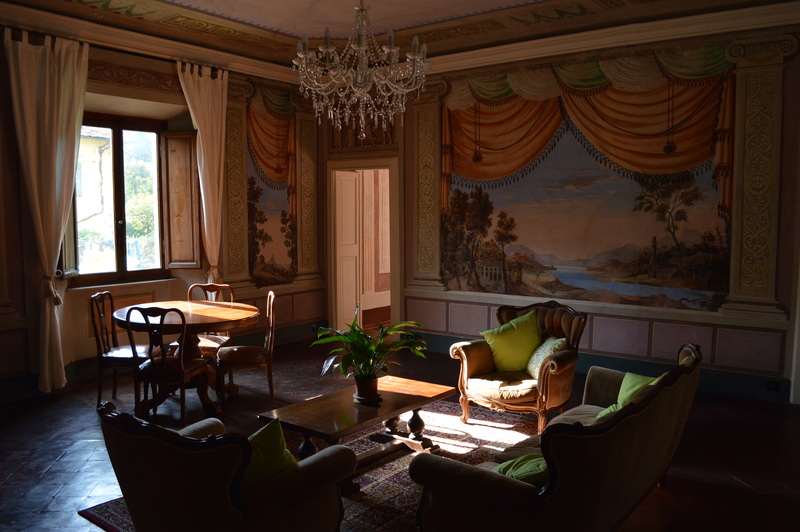 Residential courses are also available, where you can stay at Casa Tolomei, take lessons in the morning and practise your Italian while exploring the villages. Please email Laura at poggilaura@gmail.com for more information. Pleaee share this post with anyone you think might enjoy learning Italian in Bagni di Lucca. This entry was posted in Things to see and do and tagged Bagni di Lucca, Italian lessons, Italy, language lessons, learn Italian, Tuscany by Debra Kolkka. Bookmark the permalink. What a great thing for the area! I wish Laura and her family lots of success with this new venture. I think it is wonderful. I hope Laura is very busy soon. This is excellent news, I wish Laura every success. I think it is great news. My pleasure. I know you are going to be busy this summer. It is an excellent initiative and a great opportunity for prospective students to combine formal learning with homestays facilitating a total immersion, the best way to learn a foreign language. I wish Laura lots of success. I also think this is a great way to learn Italian. It is very important to be able to practise what you have learned. i think that is great and im happy to know about this. thanks for the information. Perhaps you can come soon for lessons. What a great news!!! So happy for Bagni di Lucca and I do not know Laura personally but I wish her a big IN BOCCA A LUPO for this adventure! Keep going! I think it is a great addition to the offer in a Bagni di Lucca. If you are looking for the experience of a lifetime and would love to go to Italy and the beautiful region of Bagni di Lucca in Tuscany to learn Italian, then this post by our friend Debra could be what you are looking for. If you need any information I would be very happy to help guide you in the right direction. What a great enterprise for Bagni di Lucca…I do hope Laura is very successful. I’m sure the school will be a great success. Thank you for sharing the post. Oh my, oh my. If wishes were horses…. It is a beautiful place to learn a new language. It is an excellent setting. I think people might like to come to Bagni di Lucca to learn Italian. That’s wonderful, what a good idea. I would love to go there and have lessons whilst I stay at my house.